Whenever you’d hear the word “startup” nowadays, you’d immediately think of a tech or software venture in Silicon Valley – the breeding ground of startups, both failures and successes. And if you’ve ever thought about investing or building your own small business, you’re probably well informed about the current state of entrepreneurship in the US. To put things into perspective, the US is known around the world for its entrepreneurial culture, and being the place where the system provides new chances even if your idea fails. It’s also an environment that rewards hard work and persistence. But after the 2008 collapse, and until around 2015, the small & medium enterprise sectors were struggling to get back on their feet. The stats are now looking better, and even venture capitalists are more prepared to take risks. In 2017, venture capital made a total of $148 billion in startup investments, with 40 VC-backed companies achieving valuations of $1 billion or more, qualifying for the unicorn club. Here’s a good cheat sheet on how startup valuation works. The competitive landscape has changed significantly over the years, and companies are adjusting their business models accordingly. It’s worth pointing out that there are huge disparities within the US (state by state) in terms of the rate of new business creation. All over the States, there are environments where people are reluctant to start new businesses, and not without reason. The sad fact is that the bounce-back from the 2008 collapse is slow and that means a sluggish post-recession economy with lower consumption and regulatory burdens for the average business. To stay competitive, companies started to cut back, and now near the norm to have some positions outsourced to remote workers, out of state or even outside the US. In a 2017 report, it was revealed that nearly one half (45%) of small businesses failed to find enough, or any, qualified applicants for job openings. 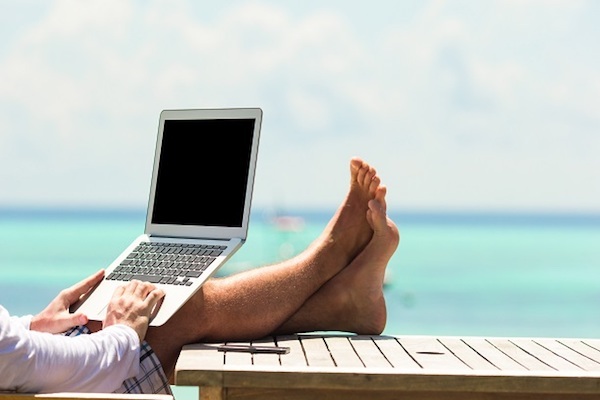 The Officeless World Of Online Business. With the expansion of business models that can operate entirely online, like the Software as a Service (SaaS) model, small and medium businesses are in a unique position to completely circumvent the need for physical office spaces. Some revolutionary companies, like Basecamp (formerly 37Signals) had their best growth without any offices, and with employees mostly working remotely, as documented in the book “Remote: Office Not Required“. Here’s where we get to the fun part. Amidst all this cost-cutting, we’re seeing one type of business boom: coworking spaces. Why would people who work remotely choose to rent a shared workspace or coworking space, instead of just working from home? Why Coworking Spaces Are so Appealing. Well, long story short – it is often more efficient. A lot of people lack a disciplined home working schedule. Even people who do work from home efficiently, have much better focus and do better in an environment dedicated specifically to work. It’s worth noting that not all people are the same when it comes to what they consider the ideal working environment. Google is known for setting the standards when it comes to creating positive and productive workspaces. Many of the coworking spaces share the same philosophy of promoting focus, a free flow of ideas, creativity-boosting tricks (everything from the layout to furniture material and choice of color) etc. This tells us that there’s nothing inherently wrong with offices, but when the office becomes an obligation, it’s enough to stumble upon one negative or annoying person in that space to throw off the productivity of the entire team. If that person happens to be your manager, it is even worse. To make things work, many bosses use offices to closely monitor their workforce, which puts everyone under a lot of pressure. Pressure can be good at times, but only as long as the employee is in a positive frame of mind. Otherwise, productivity plummets quickly. Knowing that you can leave whenever you want and skip office days when you’re feeling ill or don’t want to suffer through a snow storm or traffic jams – that’s what it’s all about. That’s what keeps employees positive, efficient, and the company competitive. That’s also what makes companies sought-after by the best workers. Businesses that are open workplaces where new ideas can surface, get rewarded by today’s “knowledge economy”, and that’s what drives revolutions. For people trying to find their entrepreneurial path, the world of online business provides a very safe, affordable, and lucrative environment to experiment with. Good ideas can reap huge rewards if the business strategy is executed well enough. Many types of online services allow for micro firms to flourish, as 2 or 3 people can cover a lot of ground. And with such low expenses and semi-automation, passive income becomes a very appealing business model. The world of online services is, without a doubt, among the most fertile grounds for aspiring entrepreneurs to invest their time. 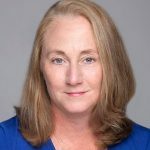 Kim Burmester is Vice President of Sales & Marketing for ATLAS Workbase, a coworking and shared office space in Seattle. She is an experienced business development professional passionate about creating partnerships which deliver quantifiable customer value.